Here is a beautiful and unique first dance photo. I photographed this couple thru the barn window as they danced next to a roaring fire. 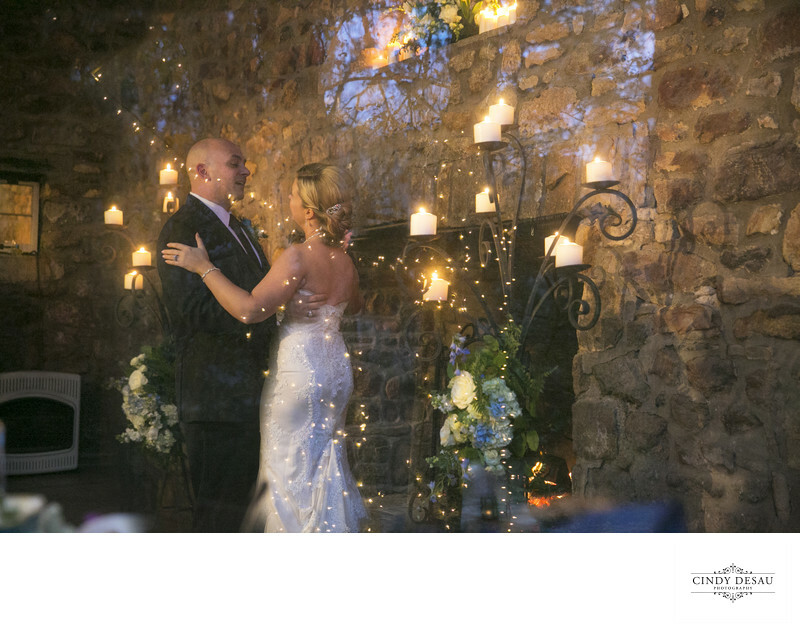 Besides the light of the fire and the warm glow of the candles, the sparkly white lights of the courtyard are reflected in the window, creating a very beautiful wedding photograph. I'm always looking for different angles and unique perspectives in order to give my clients unique, innovative and wonderful images through which to remember their wedding day. I love creating beautiful images.